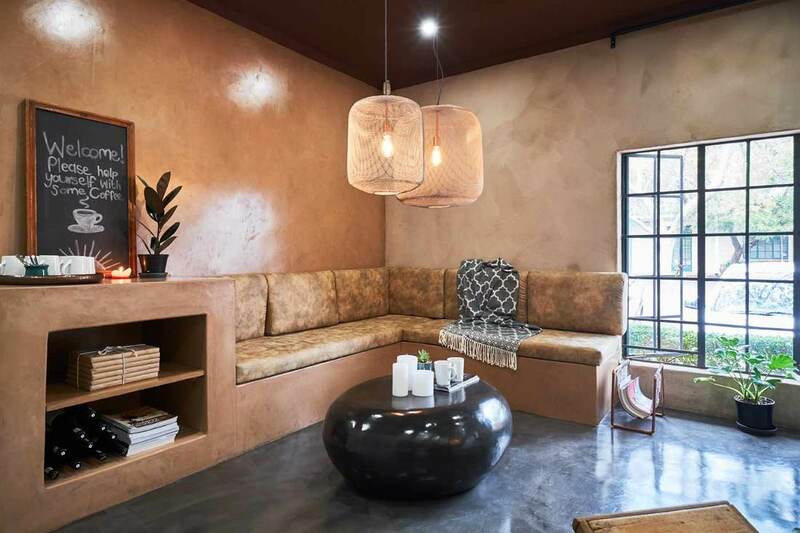 SatinCrete is at 2-3mm coloured, cement-based decorative plaster that creates a smooth, coloured finish for interior use only. Leave to air cure for at least 24 hours before moist curing with a light mist spray of water at least 3 times during the day. Always spray from bottom to top to avoid water run marks. Allow to dry for at least 3 days before sealing. 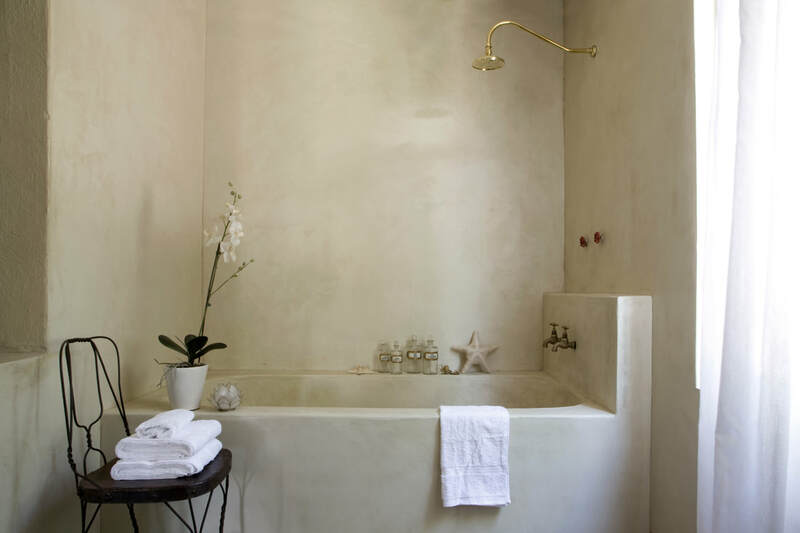 SatinCrete Beach Sand was used to coat the built-in bath and wall. 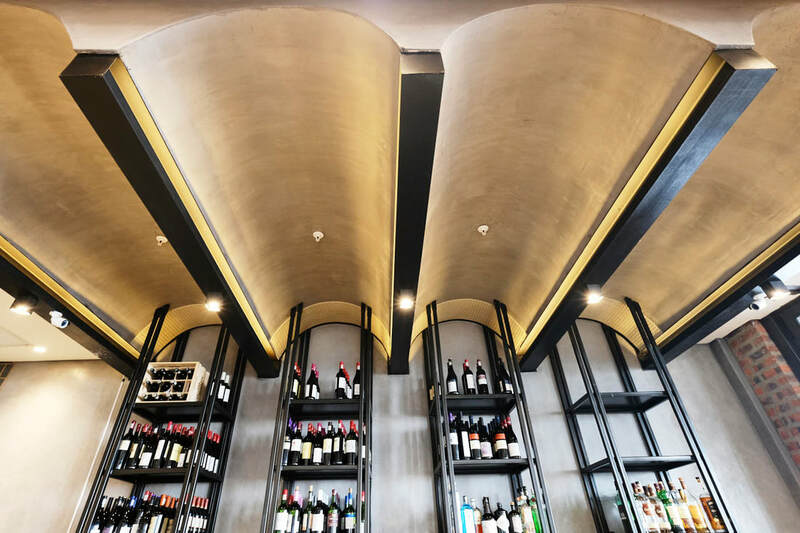 ​SatinCrete can be used to coat concrete or suspended ceilings to give a mottled effect. 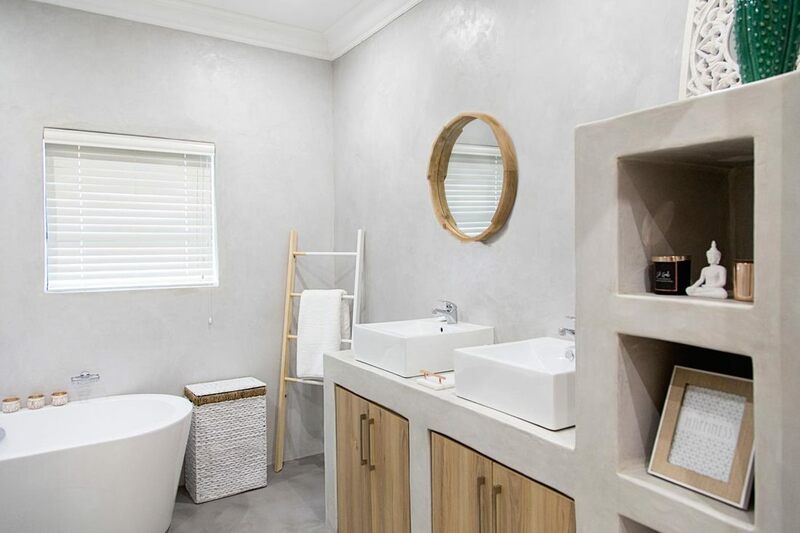 Vanities and countertops can be coated with SatinCrete. Built-in seating, counter and wall was created using SatinCrete Clay. Q: Can I use SatinCrete in my shower? A: Yes, however you have to seal your fully cured SatinCrete wall to make it completely waterproof. Q: Can I apply SatinCrete over tiles? A: No, the weight of the plaster coating is too heavy and could delaminate the tiles. We would recommend rather removing the tiles before applying SatinCrete. Q: Can I apply SatinCrete on a floor? 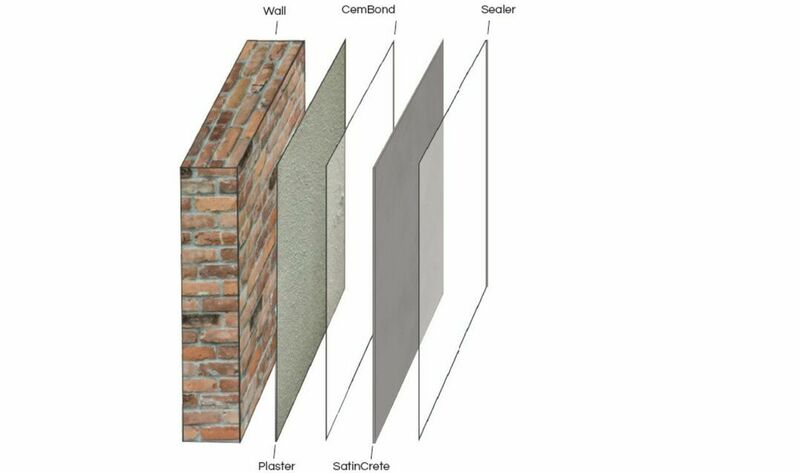 A: No, however Cemcrete offers a range of floor products that can be used in conjunction with SatinCrete. Q: Can I apply SatinCrete to a previously painted wall? A: Yes, as long as the paint is in a good condition and not peeling or flaking. To prepare the previously painted wall follow the following preparation steps. Q: Can I patch a SatinCrete wall? A: We recommend rather recoating an entire area as patching will lead to colour variances on the wall. Q: Can my plasterer do the application? A: If your plasterer has experience working with Cemcrete products and you feel confident in using them to do the application, then yes. Your plasterer can also attend our free demo days hosted at our Academy in Johannesburg. Please note attending these demo days does not mean your plasterer will be an experienced Cemcrete contractor. For more details of Cemcrete’s demo days click here, or independent contractor details, click here.